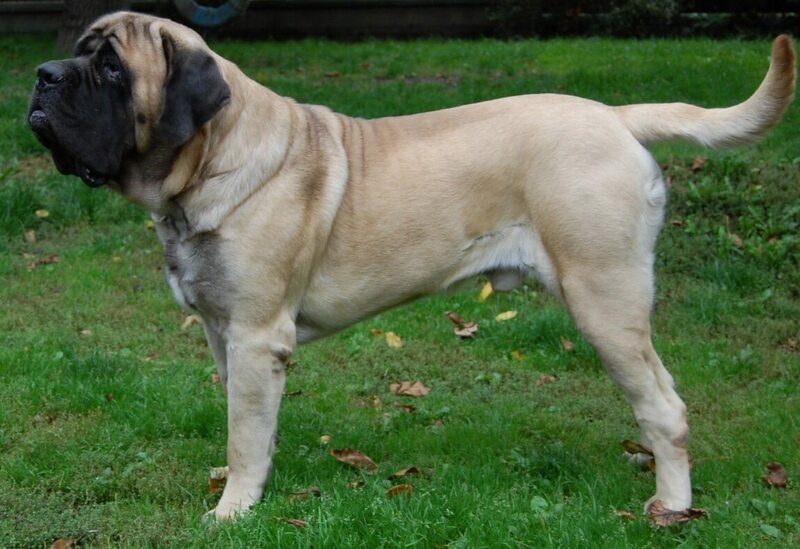 Originally bred for war, the mastiff is one of the heaviest and oldest dog breeds in the world. 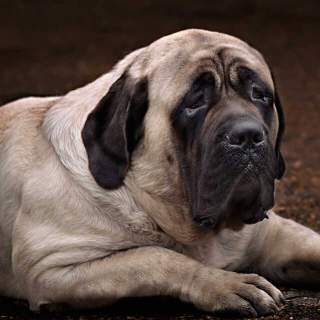 While the mastiff's ancestors were fierce war dogs, the mastiff today has a docile kind-hearted temperament making the breed perfect for any family that can manage the dog's size and doesn't mind a bit of drool. The breed is known for their companionship and enduring care and love for their family. They make excellent guard and watch dogs, as most intruders (and guests) are intimidated by a 220 dog watching them approach their property. 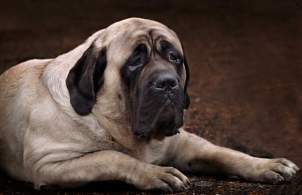 The dog's size does take a toll on their body as the average mastiff lifespan is roughly 60% the lifespan of the average dog. 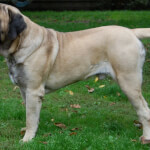 Below are the characteristics and traits of the mastiff dog breed. 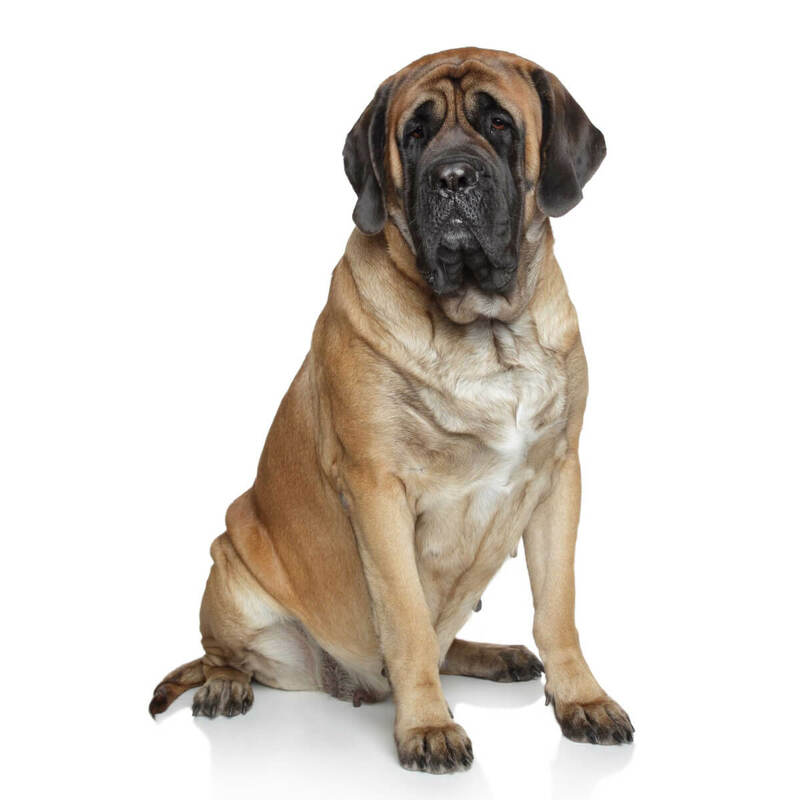 There is no doubt that the mastiff is considered a giant dog breed. Males can often exceed 220 pounds and be as tall as 30 inches from ground to shoulder. In 1989 a mastiff named Zorba set the world record by weighing 323 pounds. The potential size of an adult mastiff should be taken into consideration before adopting a mastiff into your family. Although mastiffs can be very intimidating dogs, they are actually good natured. The breed is known for their courageous spirit and should never be shy or aggressive, but if they feel their family is threatened they will stand between you and the threat. 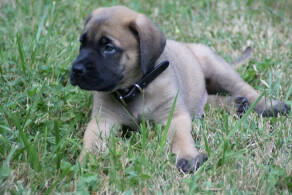 Mastiffs love being around children, however they should be supervised as their large size can easily overwhelm a child. They do well with other pets, but do best when raised with other household animals. 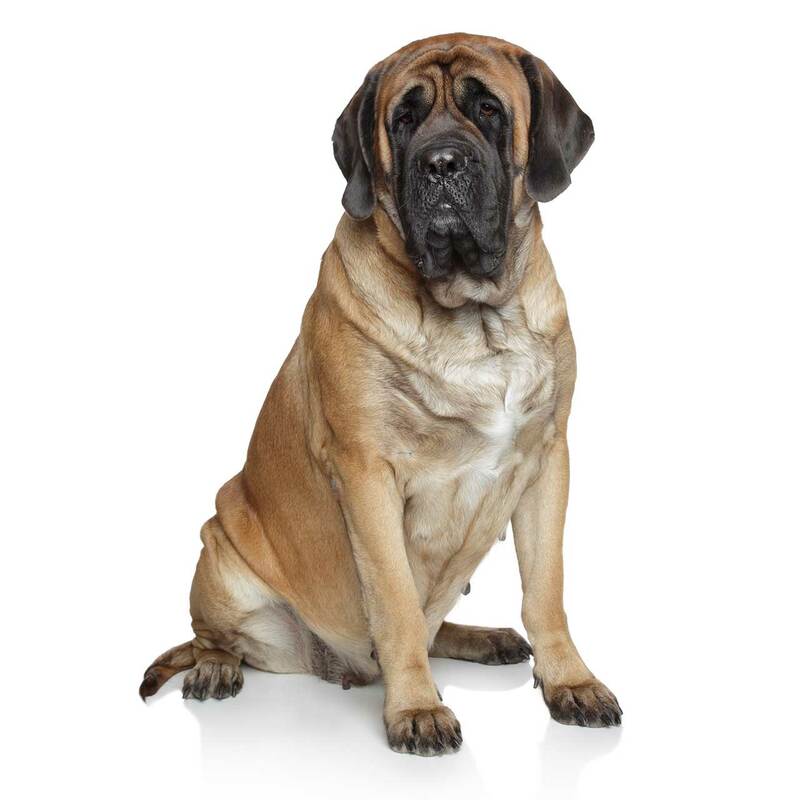 The mastiff requires slightly less maintenance than the average dog breed. They will need to be brushed weekly and their wrinkles will need to be wiped with a damp cloth to keep them clean. They shed more heavily in the spring and fall, so they will need to be brushed daily during this period. The breed needs daily exercise which can be met with a 30 minute walk. Below are the standard colors for the mastiff dog breed. 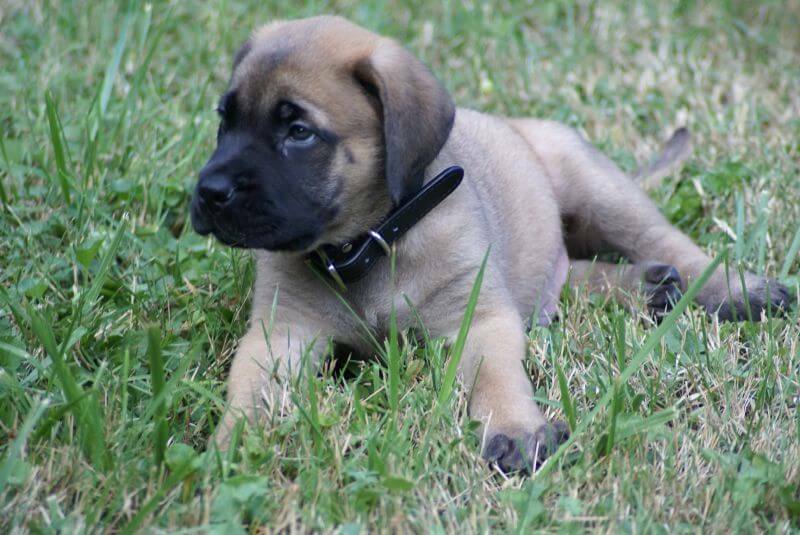 Below are pictures of the Mastiff dog breed.